The poster of the baboon could not be more true! Dom Hemingway starts with a lot of promise. Jude Law as Dom Hemingway seems to be fierce, dangerous and unpredictable. Which is always a good thing since that makes someone very interesting. However very soon after we get to see another side, his true side. And no matter how you look at it, it is going to depress you. Every attempt after to make you laugh therefore fails horribly. A comical sketch clearly intended to make you laugh out loud comes across as weak and pathetic. Now all of this would not have mattered if drama wise something sensible would have been done with it. Instead it keeps repeating what we already know. Emilia Clarke (Games of Thrones) has a very small and minimal role and could have added so much more if she gotten the chance to. Another missed opportunity to add some depth to already very poor and shallow characterization of someone with a big mouth. Dom Hemingway talks like he has balls in the same vein as Al Pacino's Scarface had. Huge difference though that his character actually backed it up that he had. 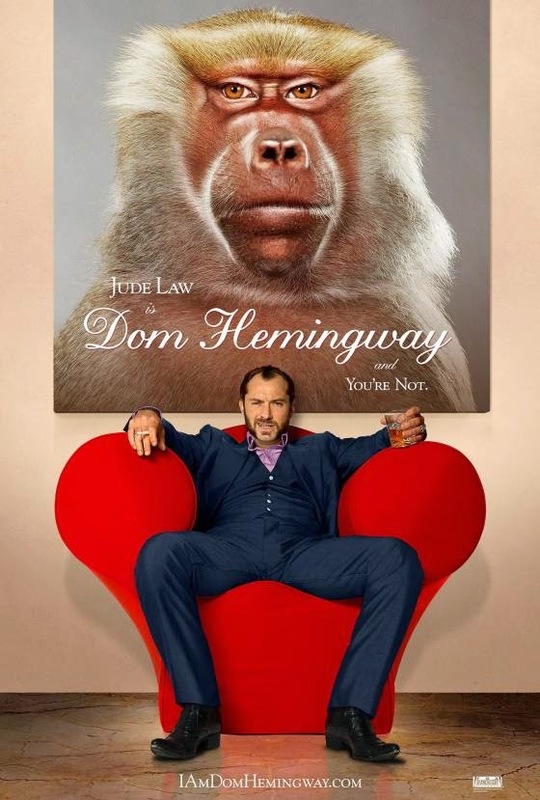 I do realize that all of Dom Hemingway could be seen as one big parody only without letting people know it is. Sorry Mr. Richard Shepard. You really have to do much better if you want to stand out in this genre. Jude Law, on his own saves this film and his perhaps the only reason to even consider watching it. If you aren't a fan then skip this one!